I made a bit of a bargain purchase recently. I've seen quiet a few bloggers with this little silicone makeup brush cleaner and decided to see if I could get one for myself. I headed over to Ebay and purchased one for a whopping £1.89! 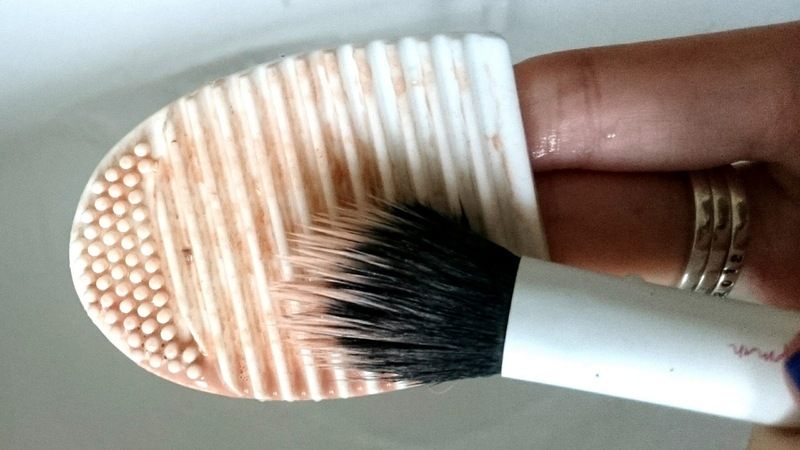 Cleaning makeup brushes is a total pet hate. It always seems to take ages and it's one of those tasks I put off for ages and ages until I just can't handle how dirty my brushes are and finally crack. I've seen some fab reviews for these cheap cleaners and I'm up to try anything that makes my life easier! It only took a few days to turn up and when it arrived it was exactly what it said on the listing! Soft silicone with finger space inside, and ridges and nibs to help clean the brushes. 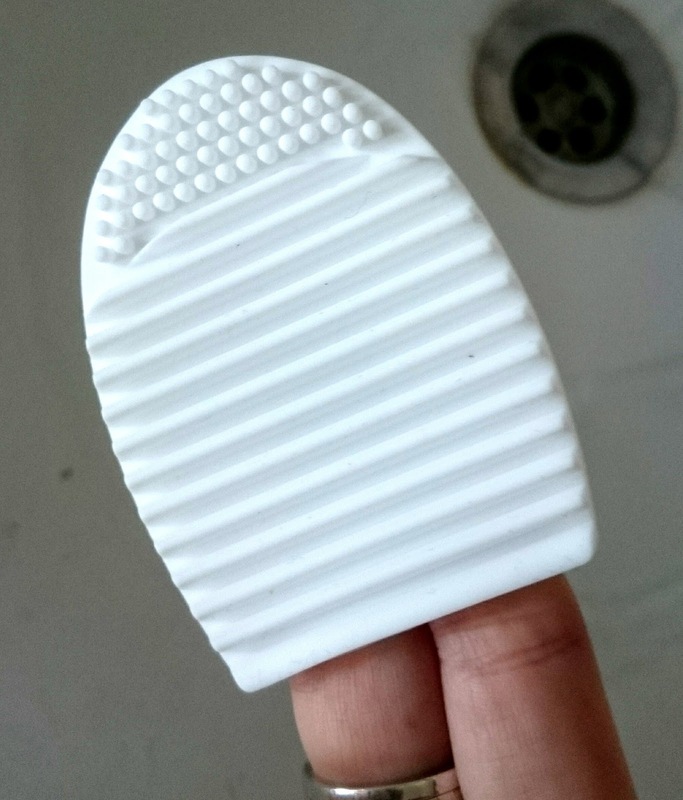 You simply pop your fingers on the inside, use your normal cleaning product choice and rub your brushes in all directions across the silicone. I was super impressed with just how much product this helps remove and just how quickly it does it. In mere moments my brushes looked brand spanking new. They haven't been that clean since I got them and I'm so utterly impressed! The makeup simply washes off the silicone and your left with squeaky clean, fluffy brushes once more. The only downsides to this product are it was a bit more difficult using bigger brushes, the brush pictured is my contour brush but my blusher brush did take a bit longer and it would have been easier had the silicone cleaner been larger. My other gripe is that I picked white. 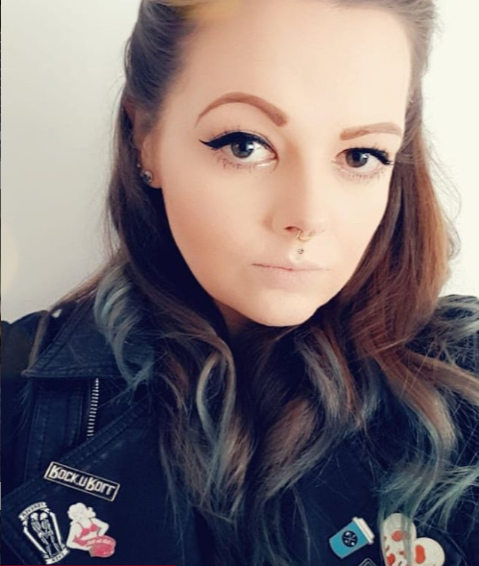 Although it does clean off pretty well, I'd imagine after a while it's going to start turning a weird brown colour as the makeup starts to stick. However for a bargain £1.89 I'm totally sold and will be buying more of these in the future! This is amazing and a great bargain too! I use good old baby shampoo!